The Millionaire Methods system claims to give you access to the exact methods that online millionaires use every single day to generate outrageous profits from the comfort of their own home. Apparently even if you have absolutely no experience you can follow their step-by-step training & duplicate the results of these millionaires – but is it actually legit or is Millionaire Methods a scam that’s set to part you with your cash? What Exactly Is The Millionaire Methods System? The Millionaire Methods system is something that’s supposedly been put together by a guy named Ryan Dennis who claims to be the owner of a company named Twin Peak profits, which according to him helps large brands around the world to boost their income online. I can indeed confirm that Ryan Dennis is the owner of Twin Peak profits, but it’s not quite the company he makes it out to be. Twin Peak profits was actually another make-money program launched by Ryan back in 2012 which turned out to basically be nothing but a hyped-up scam that provided little value in return. Twin Peak profits was supposed to be a “business in a box” which you could just buy into, set up & start making money – but it never truly delivered on it’s promises & people who bought it struggled to a make a dime. Through this system you’re supposed to be able to just sign up, follow some step-by-step training & duplicate the results of online millionaires by dedicating just a couple of hours per day. As a member of the system you’re said to get access to 20 high quality training videos, 3 mind maps, 2 quick-start guides & various resources to help you start your own business online along with “over $2,997 in bonuses”. 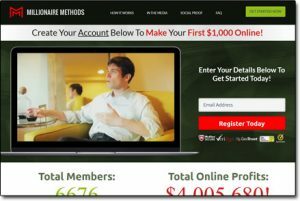 After paying the $47 entry fee & signing up to the Millionaire Methods system you do get access to the training as promised, but sadly in my opinion none of it lives up to the expectations that have been set. I mean you’re led to believe that you can sign up & start making thousands of dollars through this system but that’s simply not the case. You’re briefly taught the concepts of affiliate marketing & email marketing, then you’re pushed into signing up with a whole bunch of 3rd party services & after that you’re kinda left hanging. What’s worse is that Ryan himself doesn’t even present the training – instead it’s presented by low-quality actors from the website Fiverr which becomes really annoying as you progress through. Once you’re inside the members area it’s obvious that the creators of this system are just trying to get you to sign up with as many 3rd party services as possible so that they can earn commissions at your expense. You’re told to sign up for web hosting, email marketing services, landing page builders & more… I mean yes, don’t get me wrong to run a successful business online these are things you need but other training companies like Wealthy Affiliate provide them to you for free as part of the service. 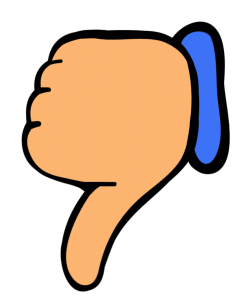 So whilst on the plus side you do get something in return for your money, unlike with many of the other scams I’ve reviewed recently, sadly it doesn’t live up to anywhere near the expectations it’s set. There’s certainly no way you could sign up to this program & start making $1,000’s per day online with this training alone like you’re promised – in fact to be honest it’ll probably just leave you frustrated & confused. The other big issue is the use of fake testimonials on the home page. At a glance it looks as if people have been praising this system through Facebook, but if you try clicking on a profile you’ll see none of them are real. This in my opinion is a huge red flag & is the common trait of a scam. If the system really worked as promised then I’m sure you’ll agree that it wouldn’t be hard at all to get genuine testimonials from satisfied users. It’s obvious that clearly there are none! My Verdict – Is The Millionaire Methods a Scam? In my opinion it’s not technically a scam as you do get something for your money but the website is very misleading & you definitely don’t get value for your money as the training provided is very poor quality. The program also uses underhand tactics to draw you in such as the use of fake Facebook testimonials & over-hyped claims which clearly aren’t true, something that makes me very skeptical indeed. And whilst it may initially only be $47 which might not seem like too big of a loss, sadly you’ll then be on the creators email list through which he’ll begin to push even more higher-priced scams on you. So overall you could see yourself losing much more than $47. My advice to you would be to avoid this system, I certainly won’t be recommending it & I’ll actually be giving it a huge thumbs down because in my opinion there’s no way that it will help you get started online. Is Duty Money a Scam? My Review Exposes How It Really Works! Our Wealth Secret Review – Scam or Legit System? Read This Before Joining!